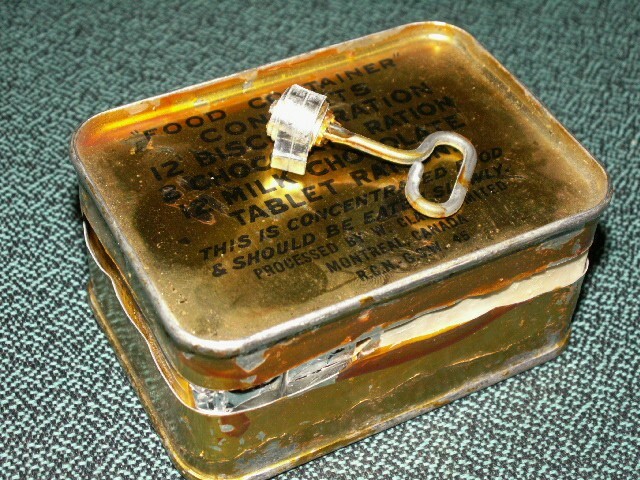 If anyone ever wondered what is inside one of these rations...here you go! I got my hands on a few of these lately and I was curious enough to open one up tonight. Still smells sweet. I was worried it would reek to high heaven but it's not to bad at all. Should look good in my kit displays. And don't worry...only one I'm gonna open. 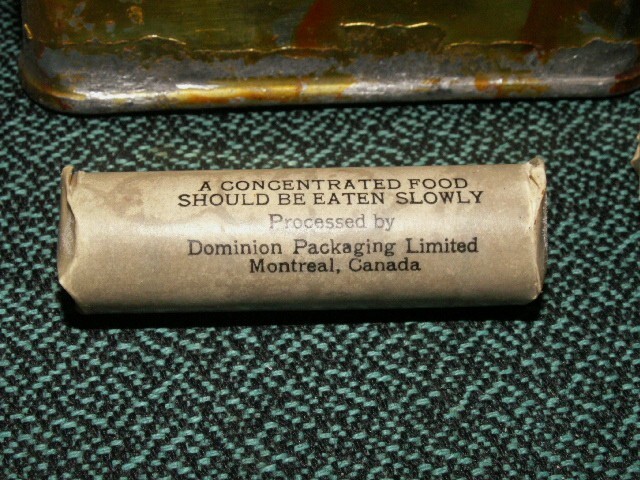 Re: RCN Ration "Food Container"
mk1rceme wrote: I was worried it would reek to high heaven but it's not to bad at all. Buy nice to see what is in it for a change. Awesome, thanks for posting that. I always wondered what was in them. Now, all you have to do is try them and let us know how they taste! jholl72 wrote: Awesome, thanks for posting that. I always wondered what was in them. Now, all you have to do is try them and let us know how they taste! Come man, you know you want to!!!LOL! When I was younger I kept my birthday cake for year in the fridge..on my next birthday I tried to eat it. It was pretty hard, but at least I tried.LOL! 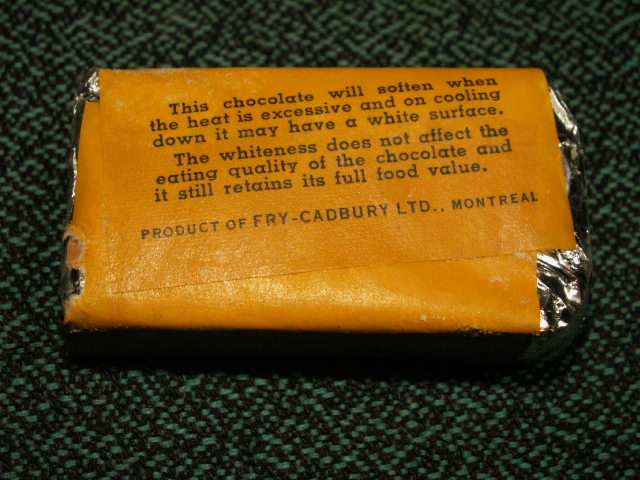 Well, like I said, it does smell chocolatey. Only thing I'm worried about is my nephew coming for a visit and getting into it. He more than likely won't touch it, but he is a chocolate monster...guess I better put them a few shelves higher just in case. I'm sure this stuff would make you mighty sick. 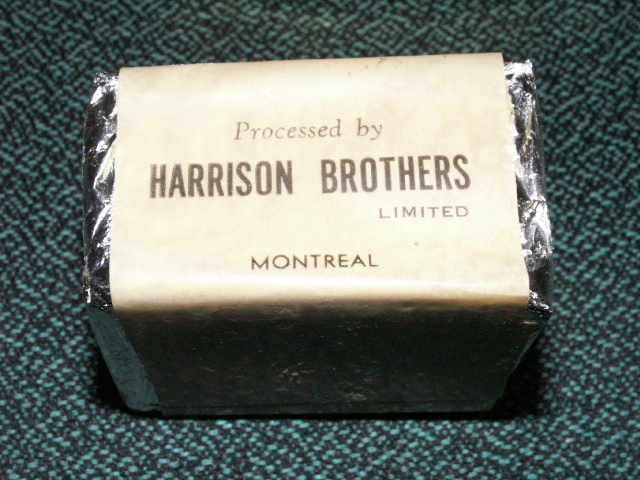 I've had modern ration biscuits before and they almost broke my teeth. 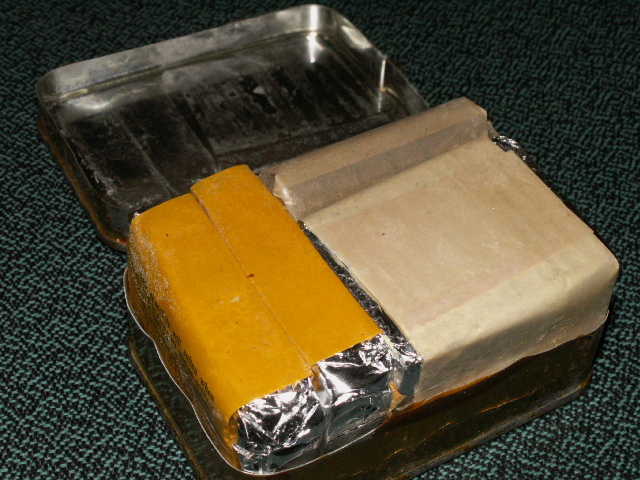 Any chance you might post a pic of your Boer War ration pack? I don't believe I've ever seen one. 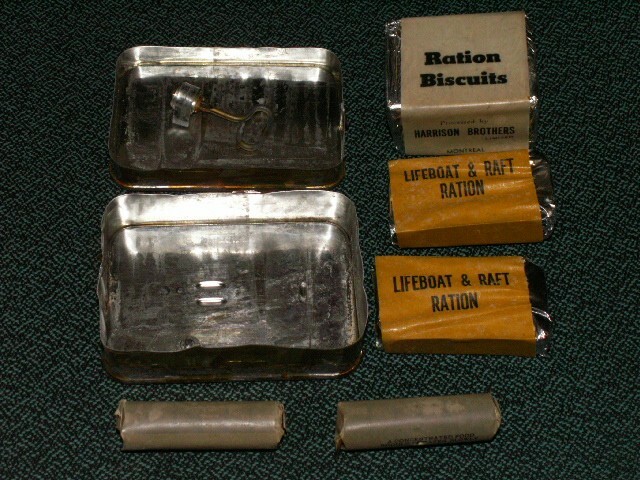 Remember, these RCN Rations were lifeboat rations and are not applicable to Army kit displays.